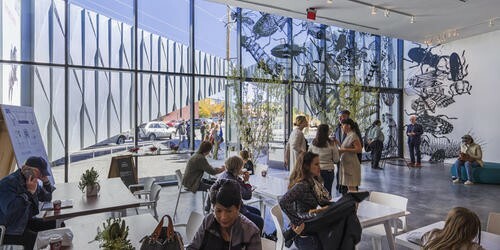 SHoP designed a comprehensive renovation and expansion of the exhibition and support spaces at SITE Santa Fe, one of the leading contemporary art institutions in the Southwest. 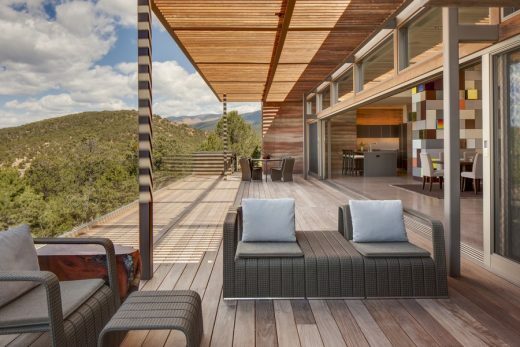 Inspired by the spectacular landscape of northern New Mexico and by the prospect of living in nature in a way that creates a constant and memorable connection to the mountains, the sky, the air and the climate of this extraordinary place. SITE Santa Fe is pleased to present an opportunity for innovative and experimental architects and designers to submit proposals for a temporary structure that explores the many connotations of the “landscape” as these relate to ideas about “siting” in place, “siting” in history, “siting” in territorial infrastructure, and “siting” in land-based economies. An innovative and highly sustainable building has opened at New Mexico Highlands University. The Student Union Building is designed to respond to the American Southwest climate and connects the campus with the community of Las Vegas, New Mexico. e-architecture feature the most signficant New Mexico Buildings, USA. We post completed New Mexico buildings plus new building designs across the state. This futuristic design for a terminal hangar facility builidng was created by a group of American and British architects. They were selected through an international design competition. URS Corporation are one of the world’s largest design and engineering firms. Foster + Partners are a high end architects office working globally.